Tony Fletcher's biography of the enigmatic quartet from Athens, Georgia, benefits not only from Tony's long association with the band but also by the co-operation of the band itself. However, R.E.M. 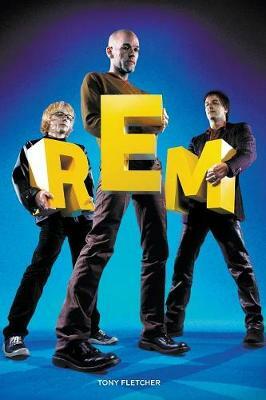 - being R.E.M. - were disinclined to reveal this at the time the book was first published in 1989 and Tony was thus obliged to keep this under his hat. All such restrictions have since been lifted for newer editions, of which there have been several, and this latest incarnation of the book - now retitled Perfect Circle - brings the story to its natural conclusion with R.E.M. 's decision to disband in September, 2011. Discussing fame, fortune and sexuality with the same keen eye he casts on the group's astonishing musical catalogue, Perfect Circle is neither blind fan worship nor jaundiced critical cynicism, but a balanced and thorough telling of one of the most compelling rock stories of our time. Drawing on dozens of interviews with friends, associates and the band members themselves, this is not just the story of one group's rise through cult status, but the story of American rock.